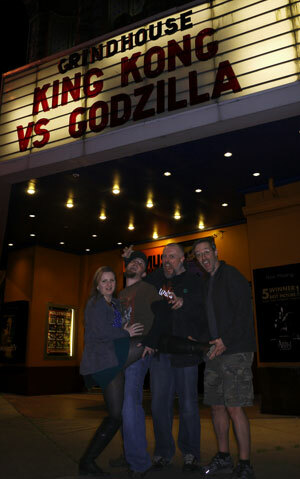 Heather, Justin, Martin & I outside of the Hollywood Theatre after watching King Kong vs. Godzilla! After a month, of being hyper focused on “the most colossal conflict the screen has ever known!”, I am so glad to finally bring you the daikaiju discussion episode of the Kaijucast. Otherwise known as Episode 56, Heather and I are here to spend almost an entire hour talking about the 1962 classic crossover film, King Kong vs. Godzilla. As I mentioned over the past few episodes, this movie really has occupied a lot of my thoughts and my time. Here in Portland, I was on the cortandfatboy podcast and KBOO’s Monday Sampler talking about the screening at the Hollywood Theatre. 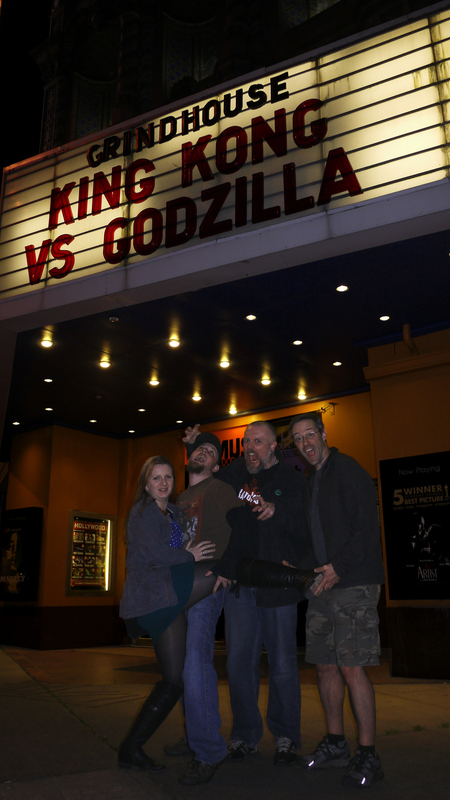 Speaking of the Hollywood Theatre, which is the same place where the 50 Years of Godzilla film festival was held back in 2004, Dan Halsted included King Kong vs. Godzilla as part of his Grindhouse lineup this month. I got up and said a few words about the film and let me tell you, there’s just not enough time to talk about this monumental film when you are in front of 300+ people. Also: Our King Kong vs. Godzilla Commentary is online! Download it and listen along as you enjoy the DVD at home! May’s Daikaiju Discussion film is the 1996 Rebirth of Mothra. Send your thoughts, questions & reviews via email before May 23rd to get your homework in the next episode!